Grades are important to college students: It usually signifies whether or not the course material is understood. But Samuel Mohler realized his GPA was dictating his life… so he stopped looking at it. 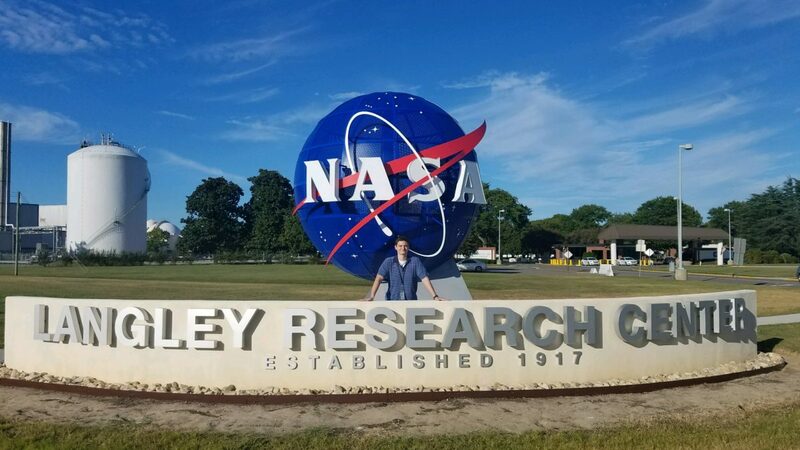 My name is Sam Mohler, and I am in my second internship at NASA. I graduated with a double major in mechanical engineering and mathematics along with a minor in physics from Portland State University. I plan to attend graduate school in the future, but for now I am soaking up as much research experience as I can at NASA. I got to work in numerical optimization at the Glenn Research Center and here at Langley I am working in the Systems Analysis Concept Directorate program to analyze the application tensegrity structures to NASA missions. I can’t believe I get to say those words. Tensegrity structures are structures made of only rigid bars and tension cables. They are extremely stable and adaptive structures that promise lightweight, cheap, and elegant solutions to many engineering problems. One thing I love about the NASA centers is the wide ranging background everyone has. Everyone here has their own unique quirk or story. I was asked to share something different about myself and was thrilled to add to the diverse story of NASA. The one quirk I have that I have never met anyone else with involves grades. I do not know what my GPA is. My first year of college, a lot of stress and unhealthy habits occurred when I religiously began checking every grade, every score, every point. I realized that it was not a feasible way to go through life. I had to do something. My solution was simply to never look. If I got a test back, I would turn it over and recycle it immediately. I knew, everyone knows, during a test what they know and what they don’t know. I didn’t need a number to tell me that. Better than that, I found that it freed me of this concept of ‘knowing everything.’ It also freed me from searching for this classic Hollywood movie moment. There are 5 minutes left on the clock, my hands are sweaty, but just in the nick of time I get this epiphany and figure out the really hard problem. Epiphanies happen randomly and without warning: They are not great to depend on, and you can’t train for them. Real problem solving, real engineering is all about incremental small achievements. NASA has shown me that and it is so inspiring for me. The real achievements are plagued with a much slower story than we want to believe. Another reason I stopped looking at grades was this lose-lose scenario that always played out because of them. I always hated the fact that if I got a bad grade I would shut down and convince myself I would never know the material, there was no hope, give up now. If I got a really good grade I would convince myself I knew it all, I was the best, and then for the next test I would perform poorly because I thought I didn’t need to study as much. It was a lose-lose game. There was no benefit even if I did get a good grade. I’ve come to realize, I never want to think I’m a master of anything, especially in science. It is much better to always believe there is so much more to know. If it wasn’t for this quirk I would not be here today. I survived college because I let go of the grades. It let me understand things on a much deeper level. I was learning from pure passion, enthusiasm, and curiosity. I wasn’t doing it all for grades or social ranking. I wasn’t making some algorithm of necessary points to get an A in my head. I was doing it for me and it paid off. One last thing: If you’re wondering how I still don’t know my GPA after applying for these internships (a required input for the application), I have a friend sworn to secrecy to put that number in for me. Starting a new career at age 29 may be daunting for some, but Sarah Vita followed her passion… and it led her to NASA. My journey to Marshall Space Flight Center was a circuitous one. I like to think of myself as an atypical intern… in the best way possible. I graduated from the University of Southern California in 2011 with a Bachelor of Arts degree in English Literature, and two minors in French and Neuroscience. The look on people’s faces here when I tell them that is about what you’d expect. So how did I get here? It wasn’t luck, I’ll tell you that. I had to work really hard and, at 29-years old, have made some sacrifices that put me at a different ‘sign-post’ in life than most of my friends who maybe already own homes, finished medical school, or are thinking about having children. But that’s OK. My life has been a wonderful adventure. And now I’m here, working for NASA! I have always been extremely fascinated by space exploration and astronomical science, but never really thought I could make it my career. After a string of jobs post-graduation that left me unfulfilled, I went to live in northern Thailand for a year to travel and volunteer at an elephant sanctuary. It was the definition of wanderlust and I loved every minute of it. When I came back to the United States, I began taking pre-requisite courses for veterinary school which included math and physics. After a couple of semesters of STEM classes I realized, hey, I’m pretty good at this, and I really enjoy it. My dream of working for NASA began to seem more like a feasible reality. I was taking my engineering pre-requisites at Santa Monica College, a community college in Southern California a mere two miles from the beach. I joined the Physics Club and scoured the NASA website for internship and job opportunities. I found out about the National Community College Aerospace Scholars (NCAS) program, an educational outreach program geared specifically towards community college STEM students and quickly applied to the JPL branch. The NCAS program is really where everything started to fall into place for me. NCAS provides an authentic NASA experience to community college STEM students and encourages them to apply to graduate programs or transfer to 4-year universities. I’ve honestly never felt so inspired in my life than during my week at NCAS JPL. One of the biggest things I learned from NCAS was that anything is possible, and no dream is too big. NCAS is a very unique experience in that it allows students to get real hands on engineering experience much like a traditional internship program, but because it’s catered specifically for community college students who don’t have degrees yet, a large part of the program is focused on how to take those next steps to get into a full-time program. We were introduced to NCAS graduates who were now studying at top universities, attended inspiring talks from JPL employees, toured the campus (JPL has a Mars yard! ), and were given resources that extended beyond the program’s end date. It is definitely because of NCAS that I am here today, interning at Marshall. Eddie Gonzalez and Roslyn Soto run NCAS JPL and are truly two of the most hardworking, passionate, and motivating people at NASA. I owe much of my success in getting here to them as they are constantly inspiring students and make themselves available for questions and assistance when applying to other NASA internships or schools. They made me realize that my dream of working for NASA was attainable and helped me do it. 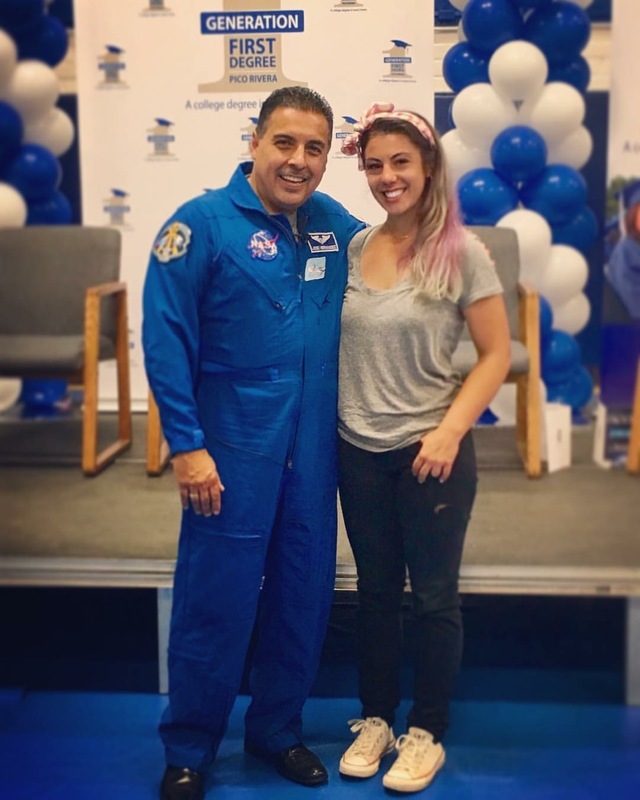 A few more semesters of classes later, and after a stint as a full-time technical consultant, I went to see astronaut Jose Hernandez speak at Generation 1st Degree Pico Rivera, a community program with a mission to provide resources to minorities to get college degrees. Along with Jose’s inspiring and moving story, I was able to meet other NASA engineers who had varying backgrounds, overcame struggles, and ultimately made it to NASA. At 29, the thought of starting over in school, especially in something as rigorous as engineering, is often overwhelming. But every time I hear one of these NASA icons, like Jose, tell their story, a fire is ignited in me and I am reminded that it is possible and so worth it. I went home that day and applied for every NASA internship I qualified for. I didn’t hear back for months and just assumed it wasn’t going to happen this year. What now? Do I continue my coursework, apply for a second bachelor’s degree program or a master’s program? Do something else? And then the email came. On August 14, a cool two weeks before the fall internship session began, I received an email from Marshall Space Flight Center, inviting me to intern with NASA this semester. It was a cosmic sign. So I packed my bags and traveled all the way from Los Angeles to Huntsville to start my journey. And that about brings us up to speed. 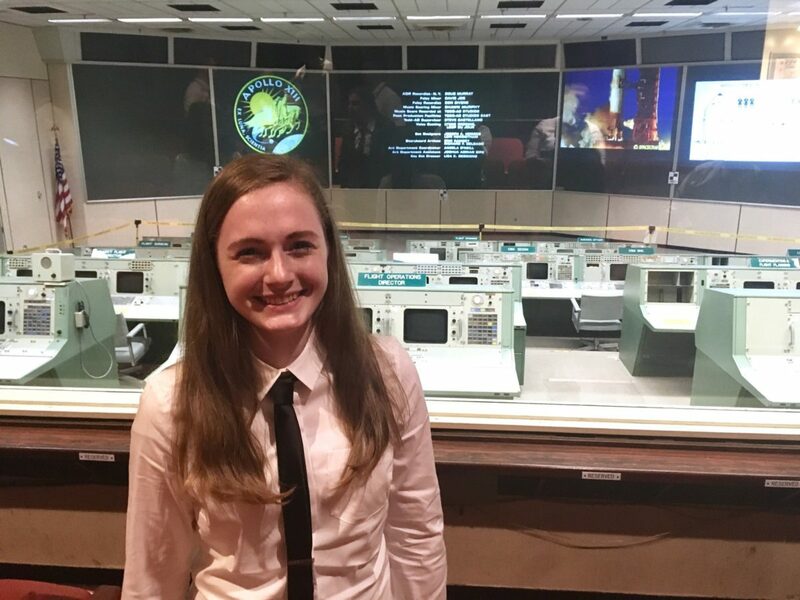 I am currently interning with the Space Environments team within the Spacecraft and Vehicle Systems Department at Marshall Space Flight Center. I analyze the space environment (with a focus on plasma) and how it impacts space systems like the International Space Station and the astronauts on it! My team is absolutely amazing and I am learning new things every day. The internship program here really allows us to get the full Marshall experience with site tours so we can see all of the other cool things that go on at Marshall, weekly talks with engineers, and weekend barbecues! I can’t wait to see what the universe has in store for me next! 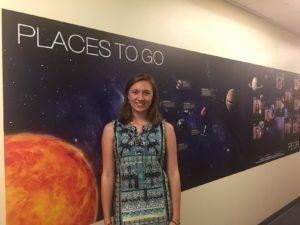 Welcome to the NASA Intern Blog! These are among the words we use to describe our NASA interns. However, they are each unique students with different backgrounds, paths and goals. That’s why we’re giving them the opportunity to tell their story. 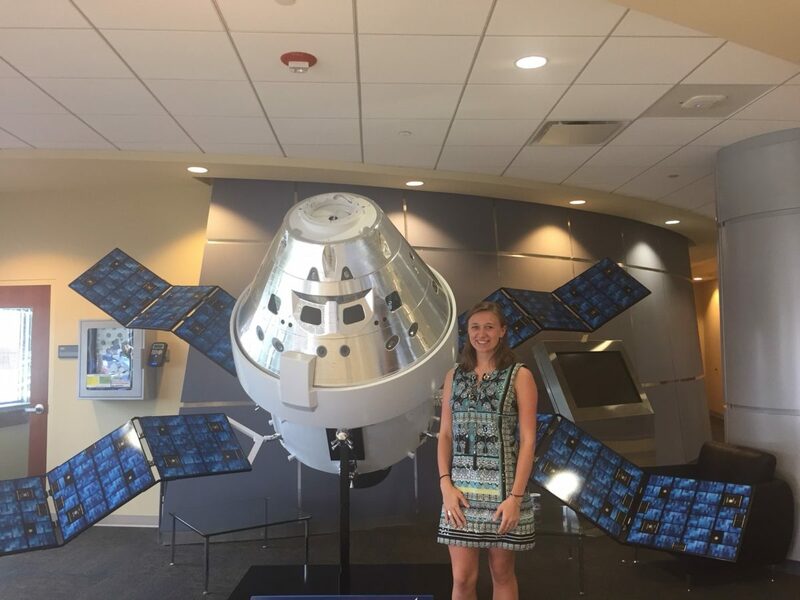 Welcome to the NASA intern blog, where students across the agency from all backgrounds, disciplines and education levels share pieces of their NASA journey. 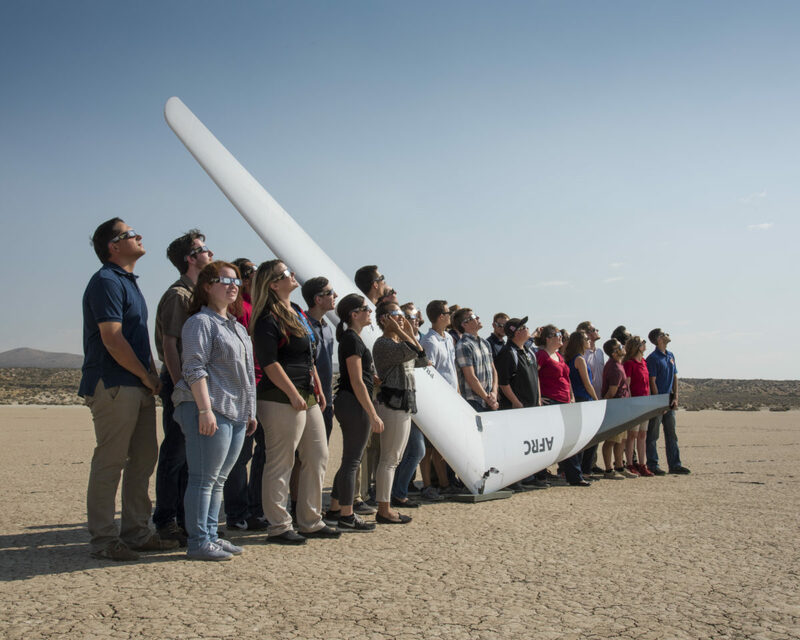 Each post helps paint a picture of the diverse and talented group that is furthering NASA’s mission. You could be among them. But that’s enough information from us. We’ll pass the microphone to our interns and let them tell their own stories in their own words. Enjoy!